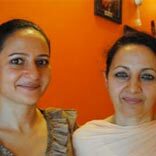 An interview with Pearl Khan, Owner, Kashmiri Kitchen. In a candid chat with Franchise India, Ms. Pearl Khan, talks about her journey so far, the challenges she faced on the way and what prompted her to enter the entrepreneurial journey. I have done everything in my restaurant. Initially when I started I had shortage of staff. So most of the work was done by me – from chopping to cleaning to delivering – and I learned along the way. In the beginning, there were four of us – one chef, one executive chef, a delivery boy and me. The chef, who made traditional Kashmiri food, was from Kashmir. Kashmiri Kitchen is now 2 years. In the first year we were into catering and home delivery and it was only by the second year that we opened a restaurant. I started the restaurant with my own savings and my mother joined me only in the second year to help in the day-to-day operations. Initially it was tough to find a good supplier; we looked all around to get good vegetables and spices. So it took time to decide on the kind of supplier we need. For example, in our type of cuisine we need fresh meats and it is very difficult to find people who could deliver fresh meats and that too on time. For that we got some suppliers from Kashmir because we knew the supplier there already. My restaurant is located at MGF, which is between Delhi and Gurgaon. Since the place was low on budget and MGF was high terrific area, we opened it there. We have outlet delivery in South Delhi. We are also planning to open in DLF, Gurgaon. We serve Kashmiri cuisine which is also known as Wazwan comprising of 36 dishes. Mostly non-vegetarian and mutton dishes. Wazwan is royal cuisine in a royal banquet. Mujtaba, mutton Yakni are some of the dishes in non-vegetarian. Vegetarian comprises of veg Saman, Nadier Yakni, Kashmiri Saag. Mujtaba is my favourite because it is very finely pounded mutton in very light yoghurt berry. We don’t use Kashmiri utensils in restaurants; we use them only during parties because they are beautifully crafted. For a party we have a set a menu of rupees 700 per person and in the restaurant it is 700-800 for two. We decorate the room with Kashmiri fabrics and make the place look like Kashmir. In the beginning somebody gave me an advice: first open a restaurant, protect it and then expand it. I was not looking for any investor in the beginning because I felt that one might compromise with one’s own style. Now we have people approaching us for investing in another restaurant which we are planning to open. Having faced the major part of the challenge, I am now open to that idea. In the present place we have not emphasised much on this due to space constraints. I did not take any designer’s help to design the place. We had very nice furniture at home; initially we used those at our restaurant. My logo colour was orange and blue so I used it for wall painting. We would try and use Kashmiri music, Kashmiri decor around the place, hang wall carvings from Kashmir and place special furniture to give the Kashmiri feel. My passion and my mother helped me create the ambience. It all happened organically and we never planned it. The chef is a person who produces quality food. So he should have a positive attitude and an open mind. He must be honest and passionate about work; if he is very passionate he will produce the right kind of food. Firstly, I come from a family of foodies. Secondly, I stayed in Delhi for a long period and when I used to search for Kashmiri food, I found none. Also whenever my mother used to come to visit me in Delhi, my friends and I used to gorge on my mother’s homemade foods. My friends prompted me to opening a Kashmiri restaurant and that’s how it all began. We did very little marketing; I used blogging because of the low budget. I used facebook, blog and mostly word of mouth to market ourselves. During common wealth games, I used to deliver foods and organise parties. We got great response. We have Bengalis, foreigners and a lot of Punjabi too; so we have a very mixed crowd. People like the food because it is very mild and exotic. Many people come and ask me for Kashmiri cuisine. A lot of kids come to do birthday parties at our restaurant as they love our chicken and mutton dishes with yoghurt; even senior people like mild foods. The major challenge was I didn’t have a hospitality background. There were two restaurants that had opened in Hauz Khas village. I came to know from the people in the Industry that due to some reason they had closed down. The other challenge was kitchen staff, because getting a Kashmiri chef is tough. Also the people from Kashmir are not comfortable with the weather in Delhi; they like to go back to Kashmir. So keeping and sustaining the chef and their consistency is a big challenge; delivery was also a big challenge which I faced. I also faced headaches while going for licences. What I have learned from all the challenges is that every problem gets solved with quality and customer service. My motto is adhering to authentic Kashmiri cuisine and second is customer satisfaction. We cater to both family and group of friends because youth like experiencing something new. So I focus more on customer satisfaction. Dealing with suppliers is still a challenge because one has to talk in a certain way with them; you can’t be high-handed but talk in the local language politely. To deal with them, you need to come to their level. Thankfully my mother is from an entrepreneur background so she knows how to handle them. We are not people in a hurry; we are a traditional cuisine. We have something for everyone – every age and gender. Since ours is a very technical cuisine, I don’t think we have any direct competition with QSRs. As far as undoing menu tweaks are for staying competitive is concerned, we want to stick with the authentic Kashmiri cuisine. The only thing we have tweaked is our menu card – a particular menu card in the form of pamphlets. We are very small restaurant. At our new restaurant we will plan to attract corporate for meetings and as the restaurant is in Gurgaon, it will be getting corporate inside the door. Presently we offer only corporate catering. Nurture your employee, pamper them and treat them as part of your family. Restaurant staff is the key who will understand your business. To keep them motivated, I join them during their happy hours and even during their troubles. I sometimes take them out for picnic, chat with them about their family and personal troubles, and celebrate birthdays and so on. Personal touch and feelings is essential to build team spirit. Working as a team contributes towards a restaurant’s success. A Restaurant depends on a team. A good product can be created only from a happy person. So I need to keep them happy and deliver salary on time. We do not have any strategy for the Go Green concept. At a personal level, I do small things to go green. I am not making the change in the world but making the change in this one. Saving electricity, food and water are some ways in which I do so. It’s a 24x7 work so you need to be very sure about your commitment towards work. You should have a plan before you jump into it. So research well and choose your menu items very carefully. One important thing is deal your customers very carefully. In the beginning, I rented a very small place. During that phase, my plans started at a very small level – the cost of staff, the cost of buying utensils and equipments, your cost, your business vision, etc. You should be very clear about certain points – why you want to be in this business, the type of restaurant that you are going to open, the target audience, whether you want to have a franchise, the type of menu you are planning, the number of dishes you are planning to offer, etc. The economy will not affect food because food is something that is going to continue. If you have good food you are never going to close down. My biggest accomplishment is my restaurant. I was afraid of starting it earlier but something inside me was pushing me to do it. I know that I have the patience to deliver my best every day. Making people smile is an honest feeling that one gets while serving people. I feel sad that Kashmiri cuisine is not that popular. So much work has to be done to make this cuisine popular and this inspires me to move on.